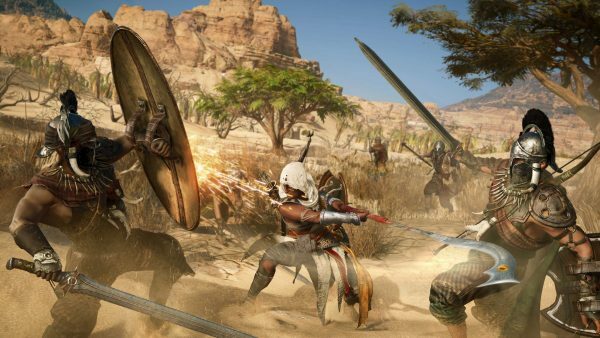 Assassin’s Creed Origins is more of an action-RPG than an action-adventure, and it shows. Want more? Check out the Microsoft E3 2017 livestream. Ubisoft showed off the first gameplay footage from Assassin’s Creed Origins during Microsoft’s E3 2017 press conference last night. The game looked good, but on thing in particular stood out: how more of an action-RPG it is. Ubisoft would later confirm that this is indeed the case, with more focus on boss fights (no more on-hit assassinations) and more demanding combat that relies on spacing and knowing your weapon. 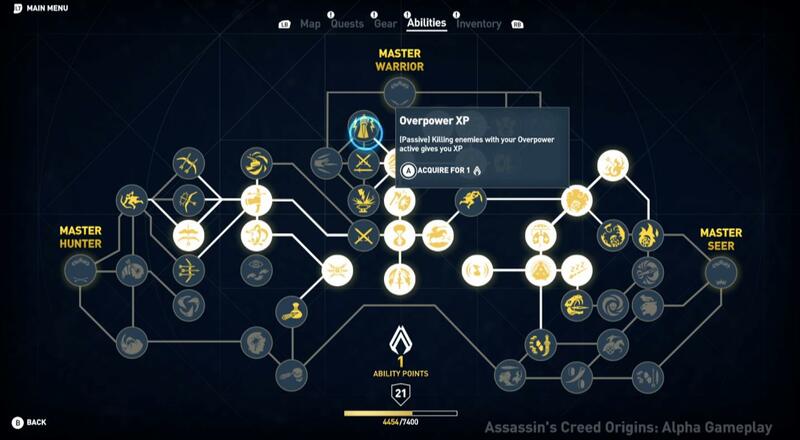 Being an RPG, Origins looks to have a skill tree you’d often see in games like Skyrim or The Witcher, with multiple paths to take and different specialisations. 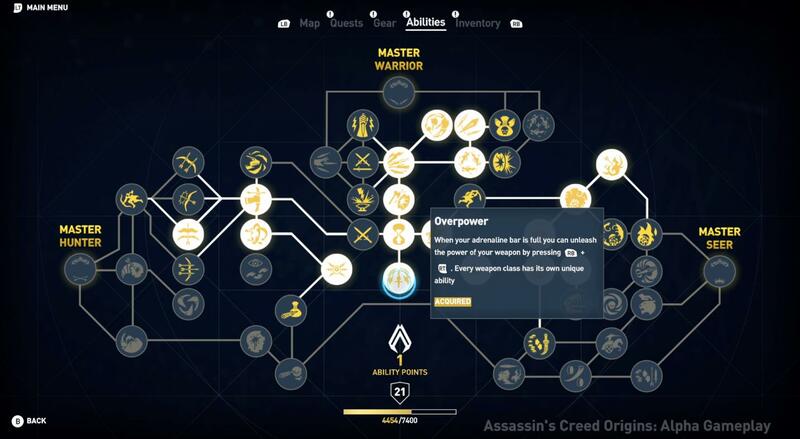 Gamespot captured screenshots from the E3 build showing the entire skill tree. 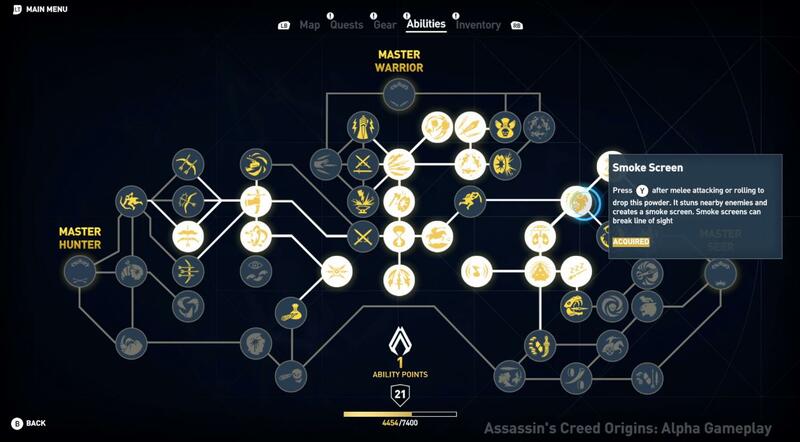 The skill tree has three branches in Warrior, Hunter, and Seer. 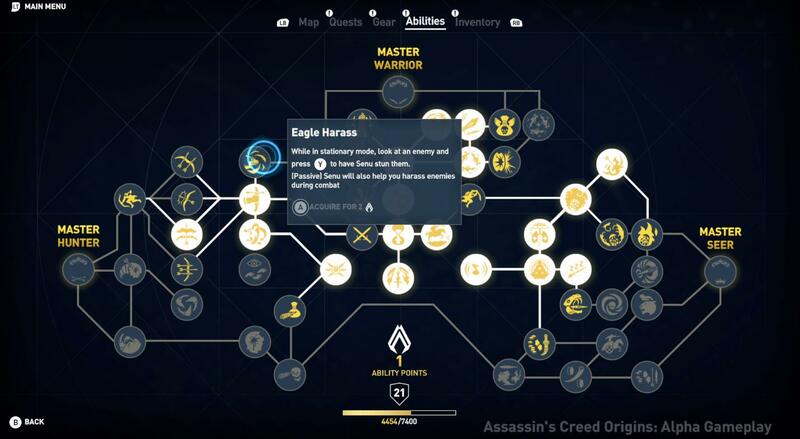 They overlap quite a bit, and each one has a mastery skill that you get after presumably spending enough points in that branch. The Warrior skills focus on strength and melee combat, where the Hunter is all about proficiency with the bow and arrow. Hunter skills also cover Senu, Bayek’s eagle, and his ability to scout the area as seen in the trailer. 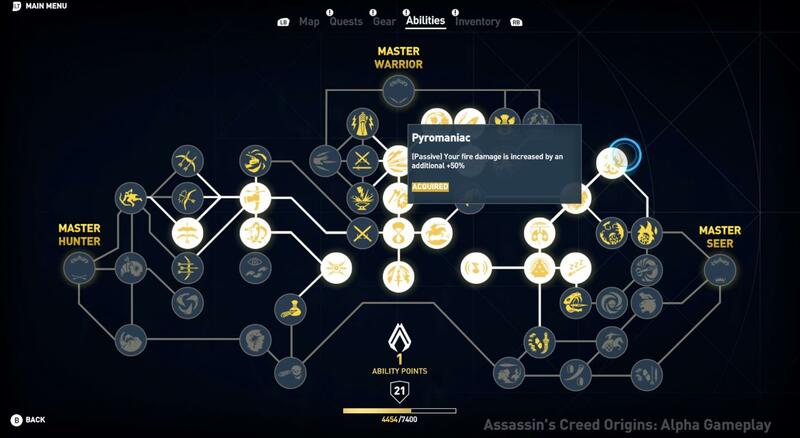 Traditional Assassin’s Creed skils in diversion, evasion and so on are reserved for the Seer tree, which also allows you to equip series staple smoke bombs. Of course, things may change from now until launch, but this already looks more extensive than every other Assassin’s Creed before it. Assassin’s Creed Origins is out October 27 on PC, PS4, and Xbox One.